Monitoring of temperature within an enclosure is essential in providing every species with the correct environment. 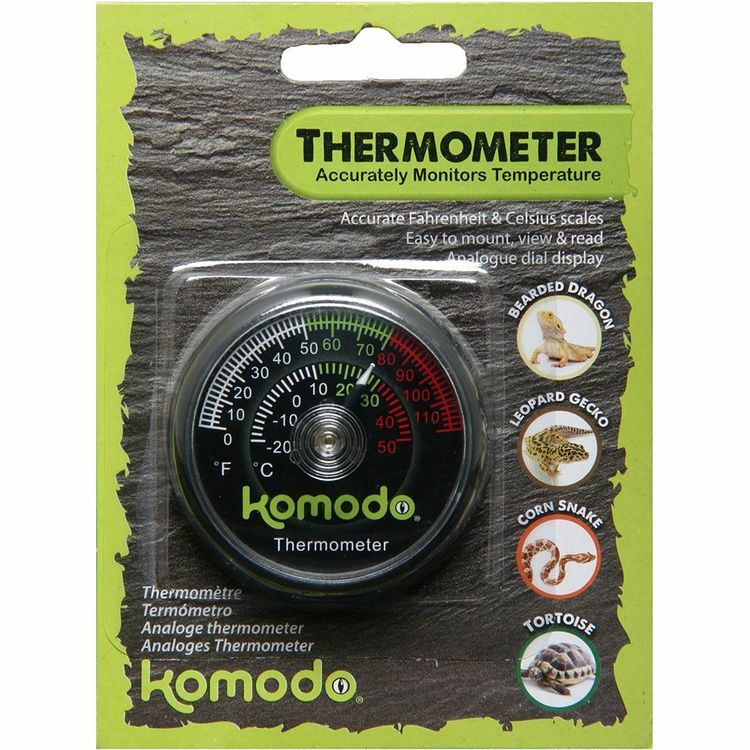 The Komodo Analogue Thermometer accurately monitors temperature and provides both Fahrenheit and Centrigrade readings. Easy to mount, view and read.